Dr. Udenberg is originally from Vernon, BC. In 2009, he received his veterinary degree from the Western College of Veterinary Medicine in Saskatoon, SK. After that he completed a rotating internship and dermatology internship at Tufts University in Boston, Massachusetts. He subsequently completed a residency program with the Animal Dermatology Clinic in Southern California and became a Diplomate of the American College of Veterinary Dermatology in 2014. His special interests include allergy management and autoimmune diseases. Veterinary medicine is a family profession. His father has been a practicing veterinarian since 1974 while his mother was the practice manager. His sister is an Animal Health Technologist who specializes in emergency and critical care. 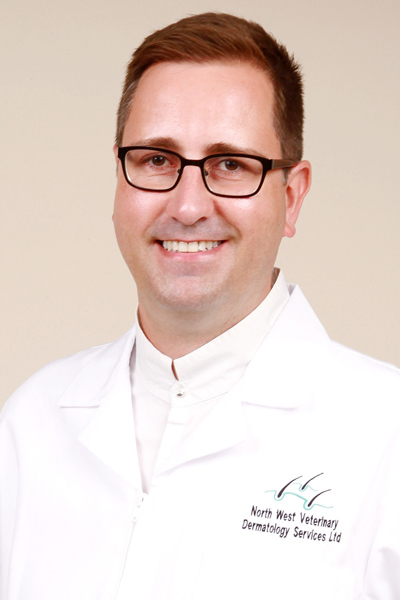 Dr. Defalque received his veterinary degree from the University of Liège in Belgium in 2001. He then completed a small animal internship at Vet'Agro Sup (formerly known as the National Veterinary School of Lyon) in France followed by a Dermatology Residency program at Michigan State University. Dr. Defalque became a Diplomate of the American College of Veterinary Dermatology in 2006. He has worked at the Dermatology Section of the Matthew J. Ryan Veterinary Hospital of the University of Pennsylvania, one of the busiest veterinary teaching hospitals in the United States. He founded the dermatology department of the Canada West Veterinary Specialists and Critical Care Hospital in Vancouver in 2007 and, more recently, has worked as a Professor of Dermatology at the Ontario Veterinary College (University of Guelph). 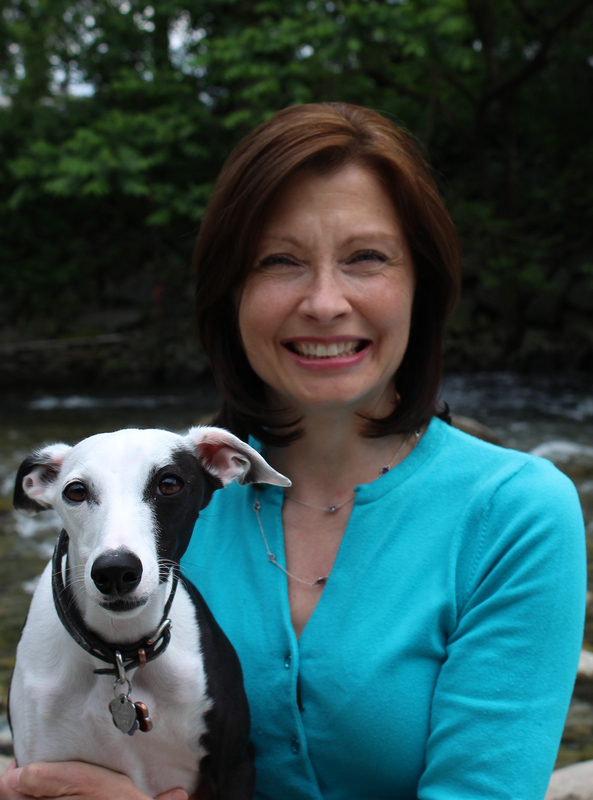 Dr. Defalque is the Immediate Past-President of the Canadian Academy of Veterinary Dermatology and the current Canadian representative at the World Association for Veterinary Dermatology (WAVD). His special interests include the diagnosis and management of ear diseases in dogs and cats as well as feline dermatology. Dr. Korbelik graduated with honors from the University of Queensland with a Bachelor of Veterinary Science in December of 2008. He returned to Canada, where he completed a small animal rotating internship at the Western College of Veterinary Medicine. Dr. Korbelik practiced as a veterinarian in his home town of Vancouver for 5 years. In August of 2015, he decided to pursue his passion for dermatology and completed a veterinary dermatology residency with Dr. Tony Yu. He concurrently completed a Master of Science in Pathobiology at the University of Guelph. His area of interest is how the cutaneous microbiota is altered by disease states. He now lives with his two cats (Luke and River), dog (Summer) and horse (That's Annie) in Vancouver. 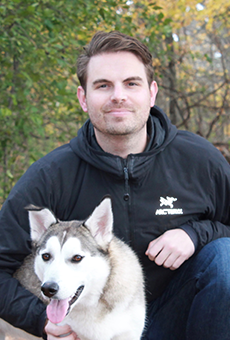 Dr. Cox is originally from Cranbrook, BC and lived in northern BC prior to veterinary school. She received her veterinary degree from the Western College of Veterinary Medicine in Saskatoon, SK in 2009, graduating with distinction. Initially following veterinary school, Dr. Cox spent almost 4 years providing emergency care to pets in Edmonton, also serving as part of the care team for internal medicine, cardiology, and surgery patients after hours. Dr. Cox returned to general practice in 2013 and spent a few years caring for multiple species (cats, dogs and exotic small pets including reptiles). It was during this time that she also acquired a special interest for managing skin diseases in particular, as they presented both a diagnostic and treatment challenge. When the opportunity to pursue boarded specialization within the field of veterinary dermatology arose, Dr. Cox jumped at the chance. 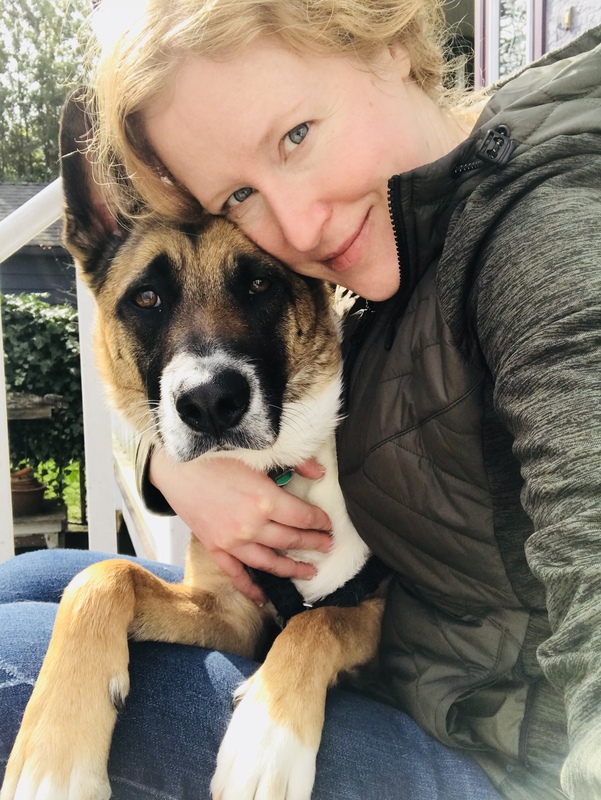 She is thrilled to be working with North West Veterinary Dermatology Services to enhance her education within the field as she pursues her specialty. Veterinary medicine is a life-long passion for Dr. Cox, and she is excited to provide the next-level in care for her patients in this field. Kirstin first completed a BSc in Biological Sciences from the University of Alberta, while figuring out what she wanted to be when she grew up. Having decided upon a Registered Veterinary Technologist, she enrolled in the NAIT Animal Health Technology program and graduated in 2007. During her career, she has had the opportunity to work with many different species including companion and exotic animals. She has worked in a variety of settings and quite enjoys the challenges that working with multiple species brings. Kirstin loves being a part of the North West Veterinary Dermatology family because it offers a new set of skills to master and the opportunity to really improve the quality of life for both the pets and their owners. 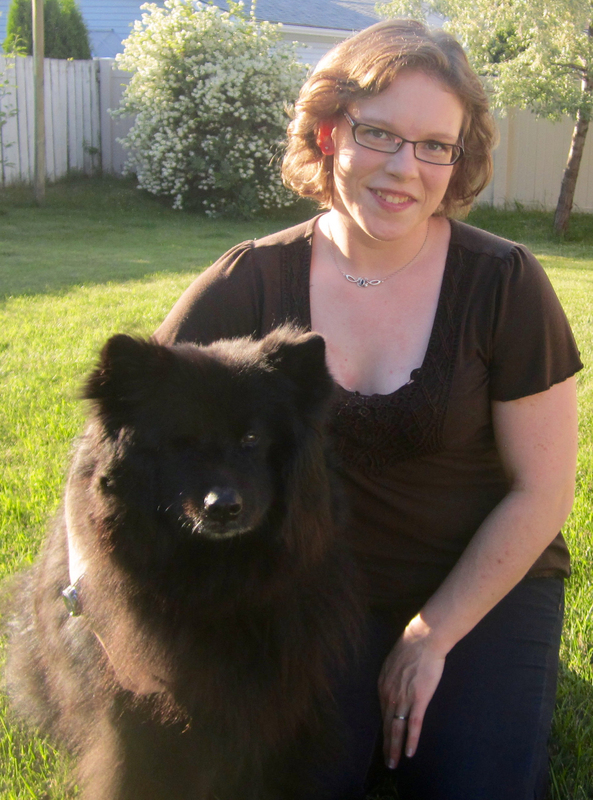 In 2002 April graduated from the Alberta Association of Animal Health Technology Program from NAIT. She has mostly worked with small animals and wanted to learn a new set of skills and further her career at North West Veterinary Dermatology Services. She’s looking forward to helping owners and their pets deal with what can sometimes be a frustrating condition. Quinn, her 8 year old husky is her youngest son’s best friend and Frieda, her girl, is a 3 year old Olde English Bulldog. It is her that inspired April to learn more about allergies. Originally from Toronto, Lori moved to Vancouver to explore her curiosity of the Pacific Northwest. She graduated from Douglas college in 2015 and worked at a specialty cat practice before joining the NWVDS team in the spring of 2018. Lori is passionate about animal welfare, low stress/fear free handling, nutrition and overall wellness and preventive care. On Mondays you may see her down the hall at North West Nuclear Medicine, helping cure hyperthyroid cats. In her spare time Lori volunteers with Paws for Hope, Community Vet Outreach and various other organizations. Lori & her partner also spend a remarkable amount of time doting over their two beloved kitties, Maia & Ellie. Kayla graduated from the Veterinary Assistant program at Granville College and began her career at a small animal practice in Tsawwassen, B.C. She joined our practice in the summer of 2016, working behind the scenes as a vital member of our client services team. 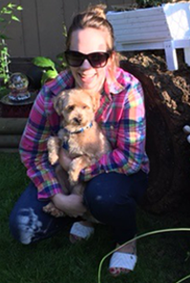 Kayla shares her home with her husband, Elliott, and their two dogs: Teddy, a rambunctious tripod, and Bella, a little Maltese-Shih Tzu with a massive personality. Kayla has recently taken up kayaking and is loving it. Matt joined our Veterinary Dermatology team in the spring of 2016. He is a graduate of the Veterinary Assistant program from Granville college. 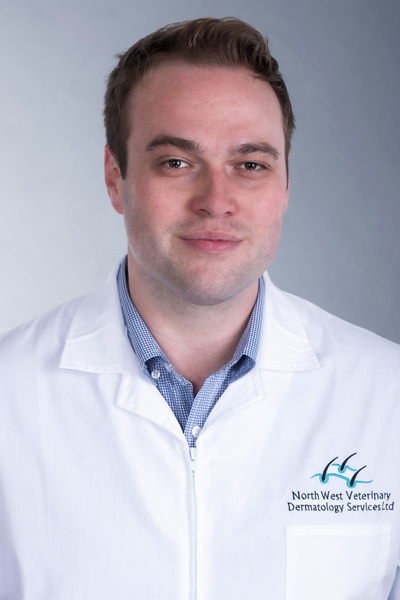 He has an extensive background in customer service which has lead him to North West Veterinary Dermatology Services. 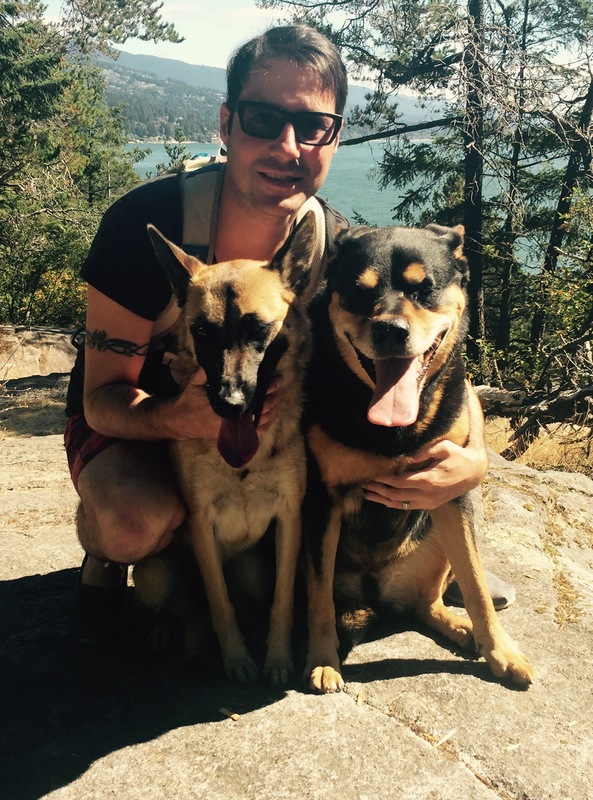 Matt's spare time is spent with his partner and their two dogs Abby & Dax, discovering beautiful British Columbia. enjoys every moment. On her off hours she can be found camping, travelling or sharing her work experiences at home with her son and husband. 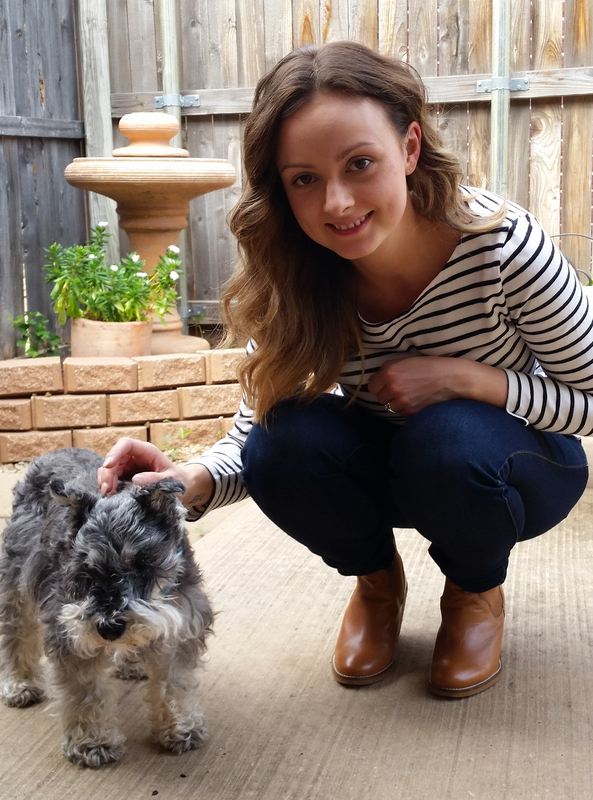 Amanda has been part of our team at North West Veterinary Dermatology Services since February 2017. Originally from Nova Scotia, she moved to Vancouver in 2016 to explore life on the West Coast. Amanda has had a passion for pets from a young age and volunteered at S.H.A.I.D Tree Animal Shelter throughout her childhood. 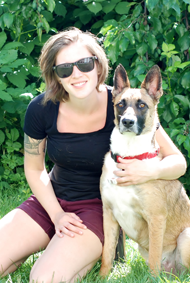 She later completed a Katimavik placement at the SPCA in New Brunswick and from that point, knew she wanted to further her career in animal care. She graduated from Memorial University in 2012 with a Bachelor of Science in Biology and began her career with Bide-A-While Animal Shelter. She truly fell in love with the veterinary field while working as a Veterinary Assistant in Nova Scotia for 3 great years. Amanda is well-versed in many areas of the hospital and is always ready to help clients and pets with a gentle and easy manner. She is very happy to be in B.C. and is passionate about adding to her knowledge of animals. In her spare time, Amanda enjoys hiking, surfing, snowboarding and sailing. 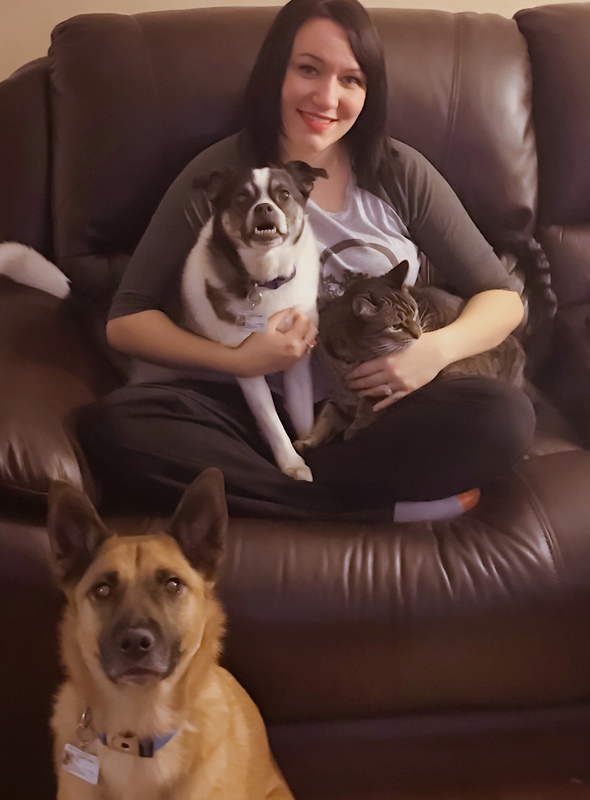 Currently, Amanda resides in Burnaby, with her two beloved cats Leonard and Matilda (whom she adopted during her time at Bide-A-While) and her goof of a dog Eddie. Michelle joined our North West Veterinary Dermatology Services team in February 2017. 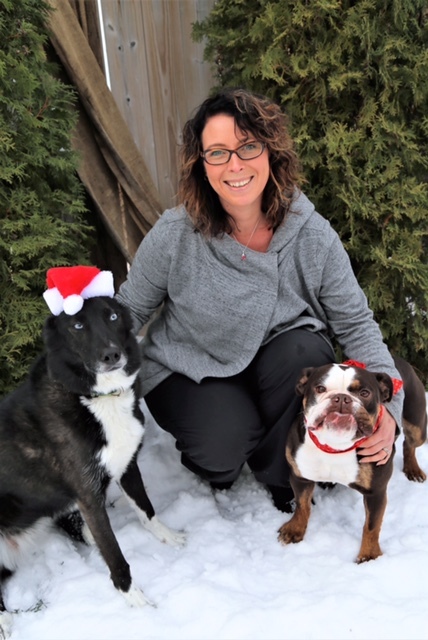 Michelle completed the Veterinary Assistant program at Vancouver Community College and brings with her a commitment to provide the best possible care to our patients. 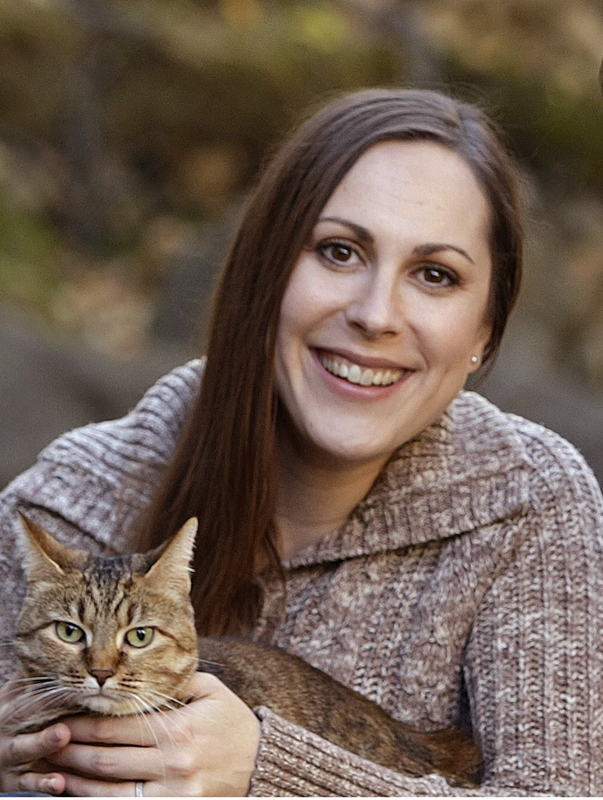 She actively seeks to expand her knowledge in the field and has extensive experience with hands on animal care. In her off time, Michelle can be found walking her rambunctious poodle cross, Daisy, or explaining medical terminology to her boyfriend. Lisa joined our practice in November 2016 after an absence from the veterinary field while she was raising her children. She studied Business Administration at Capilano College and has many years of experience in office management, including operating her own company. She is pleased to return to what she loves: working with people who share her love for animals. Lisa enjoys skiing, exploring the mountains with her dog, and camping all over BC.